Sometimes I’m just in the mood to find a quiet corner in my house where I can sip coffee, check my email, and just write. No matter how compact, clutter-free, and efficient my home office is, it’s just not peaceful enough for me to enjoy a relaxing cup of coffee, a game of minesweeper (don’t judge me), and my artsy endeavors. What’s a lady to do? I took stock of all the spaces in my home that had room enough for me to carve out this quiet corner I was in desperate need of, but they all fell short. The kitchen is always so busy at my house. The living room is equally as busy and it has the added distraction of the TV. I felt like I was running out of options. Then something magical happened. 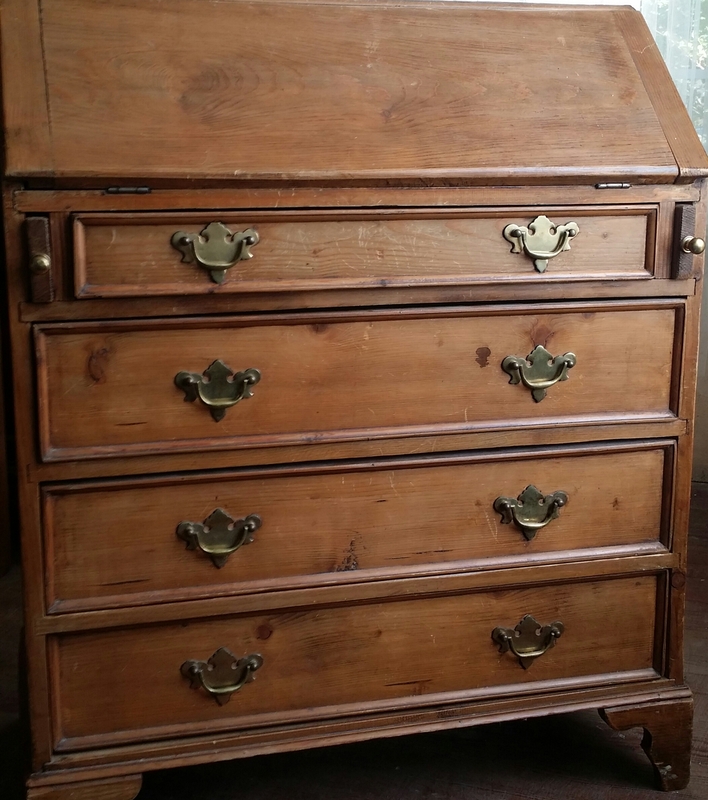 I met and fell in love with the perfect vintage desk at a Habitat Restore. It was love at first sight. Seriously, it had me at hello, and I was determined to make things work between the two of us. 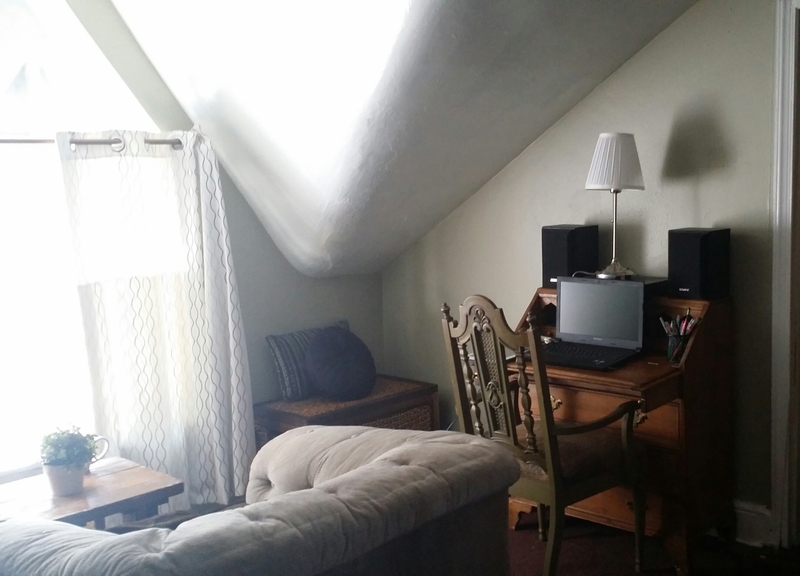 Since I recently converted the attic into a pretty cool bedroom and living space, I decided that my cozy writing nook should be the icing on that renovation cake. This perfect little secretary desk, with all it’s beautiful imperfections, is now safely nestled in this totally relaxing space. Sometimes you can really luck out when you find vintage pieces. I didn’t do a thing to this desk. No sanding. No chalk paint. No refinishing. No nothing… and I just love it. I’m totally curious. Have you ever bought a used piece that was an instant score for the win? Something awesome that you didn’t have to change at all? Thank you so much! You’re such an inspiration to me! I love your style and the choices you make with furniture makeovers. Your secretary desk inspired me to get my own! Thanks, that means a lot coming from someone with great style herself! I think you made a wise choice with your secretary desk-not only does it have incredible character, but you can close it up and make it look neat when you’re done working. 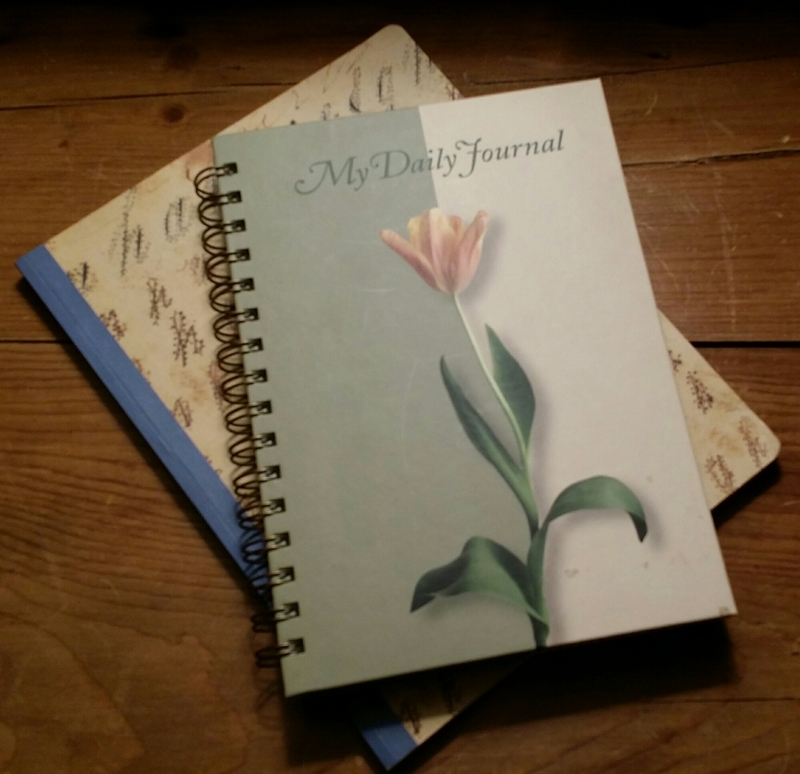 I struggle with papers and clutter on mine all the time.